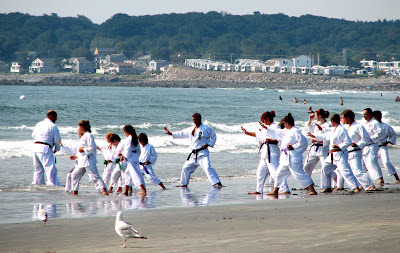 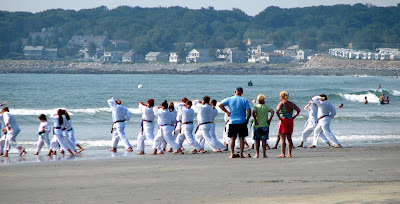 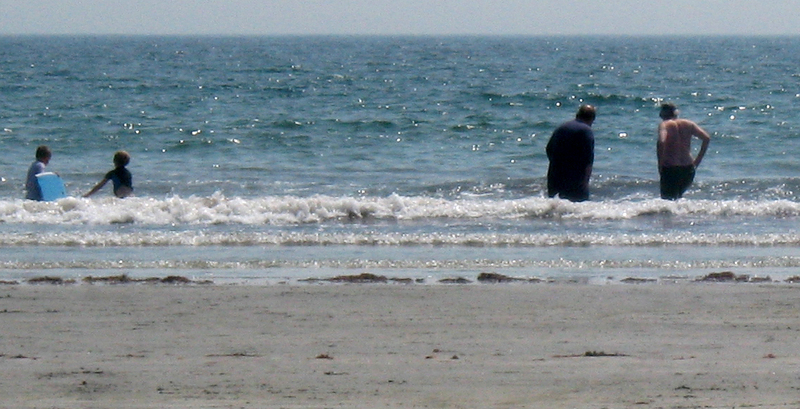 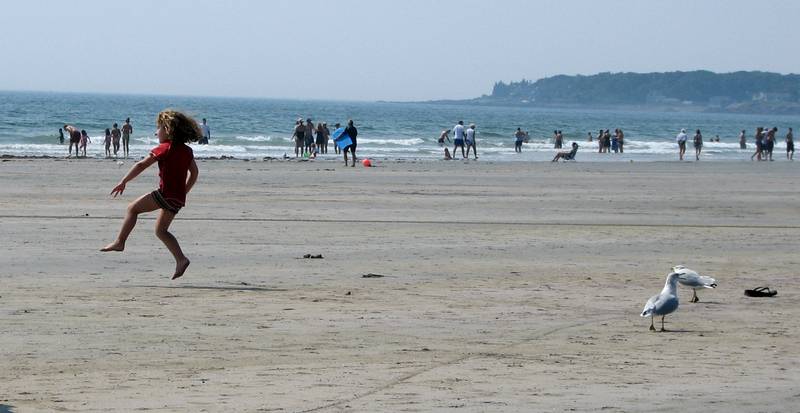 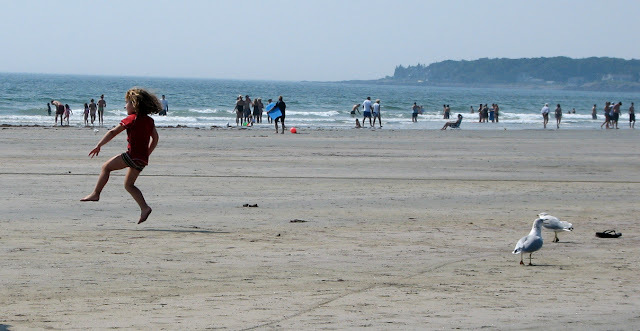 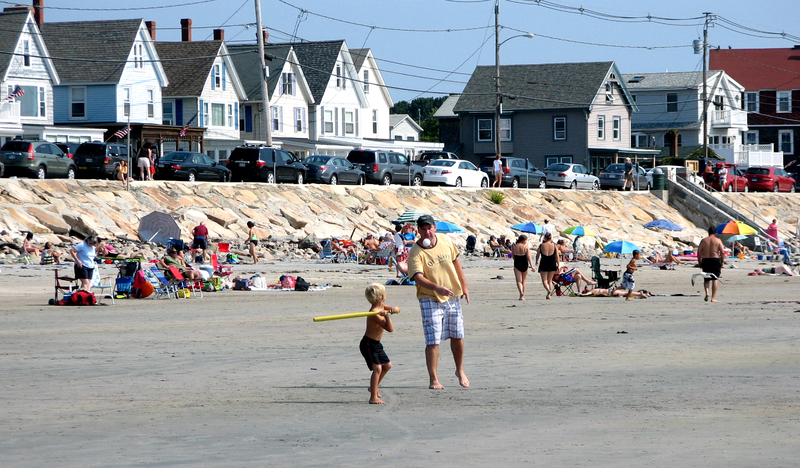 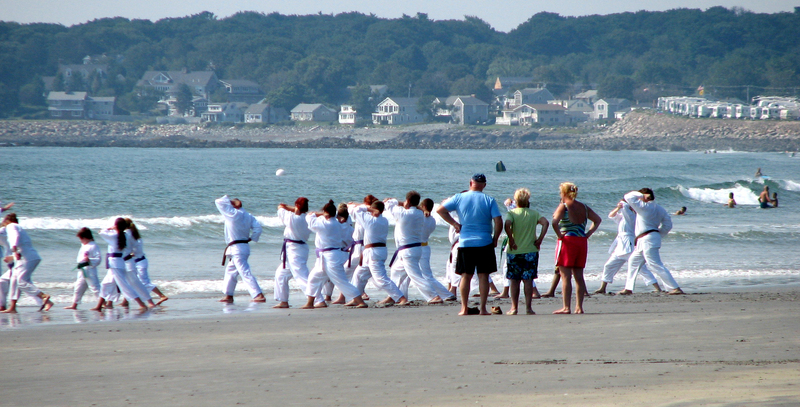 In the town of York, Maine are three separate and quite different beaches. 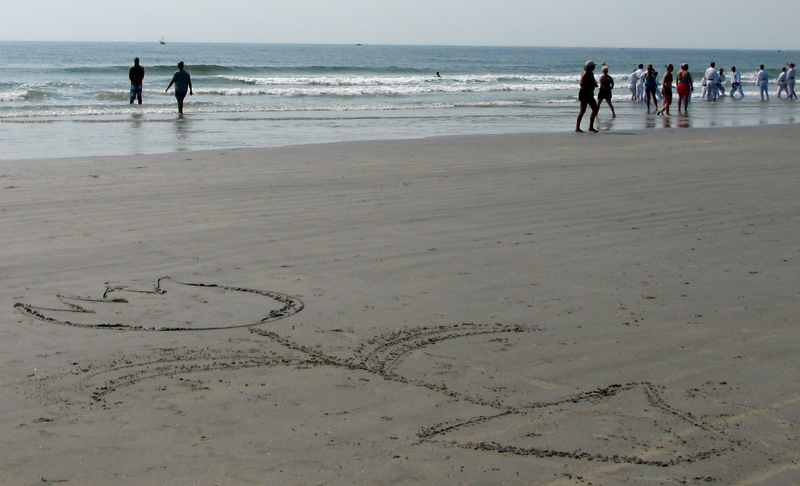 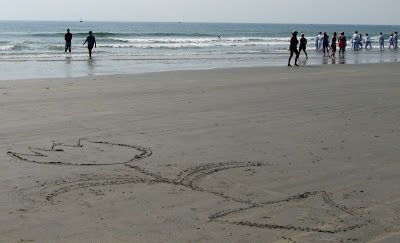 Both Short Sands and Harbor Beaches are small stretches of sand with gentle surf. 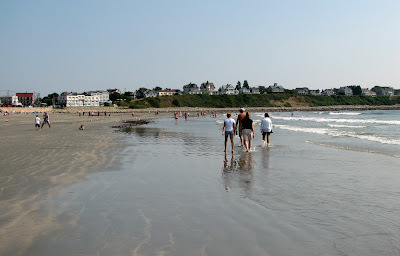 Long Sands Beach, the subject of this post, is, well, long. 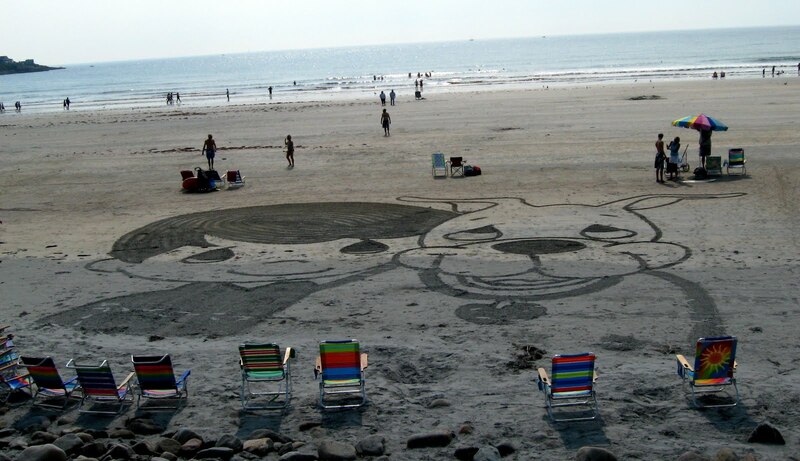 "Yeah, I'm at the beach, but I can multi-task ... "
Why isn't there a scooter pic drawn in the sand?